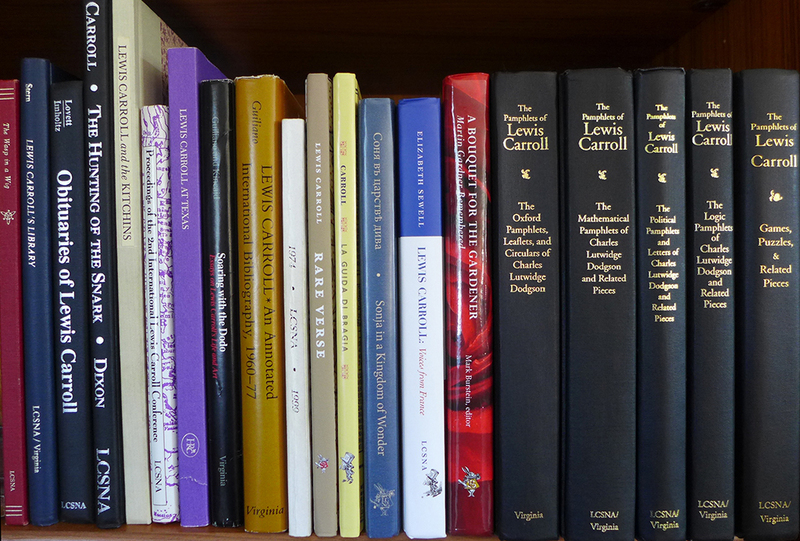 Part of the charter of the Lewis Carroll Society of North America (LCSNA) is to publish materials relevant to Lewis Carroll studies. The Society maintains an active publication program including new Carroll studies, primary material, and a Society magazine. The Knight Letter is the name of the Society’s members-only magazine. At its inception the Knight Letter was a photo-copied newsletter of just a few pages. As the Society evolved, the newsletter also evolved into a quite sophisticated magazine, generally about 50 pages per issue, which is now catalogued by major libraries across the U.S. Some far-flung folks who cannot join us at meetings retain active memberships purely based on their enjoyment of the Knight Letter. All members receive the twice-yearly copies of the Knight Letter as they are published, free of charge. Read more about our magazine and view content samples. These books published by the LCSNA are available for sale. They are a significant resource for Carroll studies. And they’re good reading, too!